Provide comfort for the family of Beatriz Reyes Rosas with a meaningful gesture of sympathy. Beatriz Reyes Rosas, 86, of Le Mars, Iowa passed away on Tuesday, March 12, 2019 at Mercy One in Sioux City, Iowa. Mass of Christian Burial will take place at 4:00 p.m. on Friday, March 15, 2019 at All Saints Catholic Parish – St. James Church in Le Mars. Father Mauro Sanchez will celebrate Mass. Burial will follow at Los Rosales Cemetery, Chimalhuacan, Edo, Mexico. Visitation will begin at 3:00 p.m. on Friday at St. James Church. Visitation will resume at 5:00 p.m. until 9:00 p.m. following Mass. Beatriz Reyes Rosas nació en Agosto 18, 1932, en la ciudad de Hermenegildo Galeana, Estado de Puebla. Hija de Aurora Rosas y Elías Reyes. Se dedico al hogar. Muy agradecidamente ella disfruto su vida en compañía de sus hijos Leopoldo, Aurora(+), Elías, Alfredo, Miguel, Amelia, Eduardo, Teresa, Ana María y Bibiana Salinas Reyes. Con 31 nietos y 26 bisnietos. Fue a reunirse con su esposo Manuel, su hija Aurora, padres, hermanos y hermanas. To send flowers in memory of Beatriz Reyes Rosas (Reyes), please visit our Heartfelt Sympathies Store. Visitation will begin at 3:00 p.m. on Friday at St. James Church. Visitation will resume at 5:00 p.m. until 9:00 p.m. following Mass. We encourage you to share your most beloved memories of Beatriz here, so that the family and other loved ones can always see it. You can upload cherished photographs, or share your favorite stories, and can even comment on those shared by others. 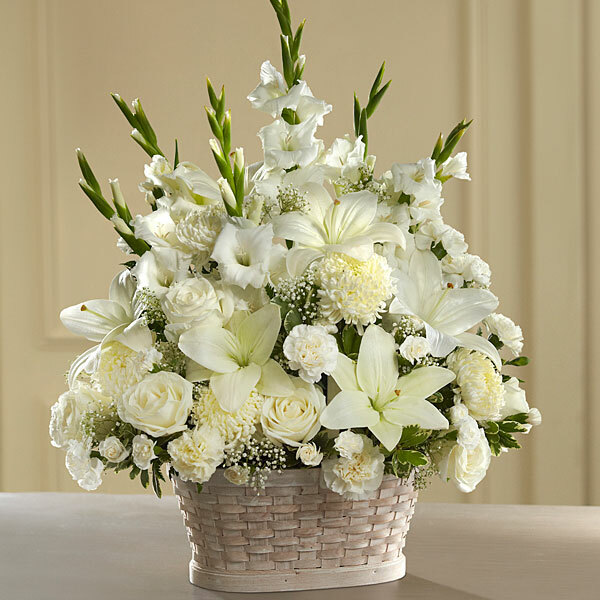 Provide comfort for the family of Beatriz Reyes Rosas (Reyes) by sending flowers. Heartfelt Sympathies Store purchased flowers for the family of Beatriz Reyes Rosas.